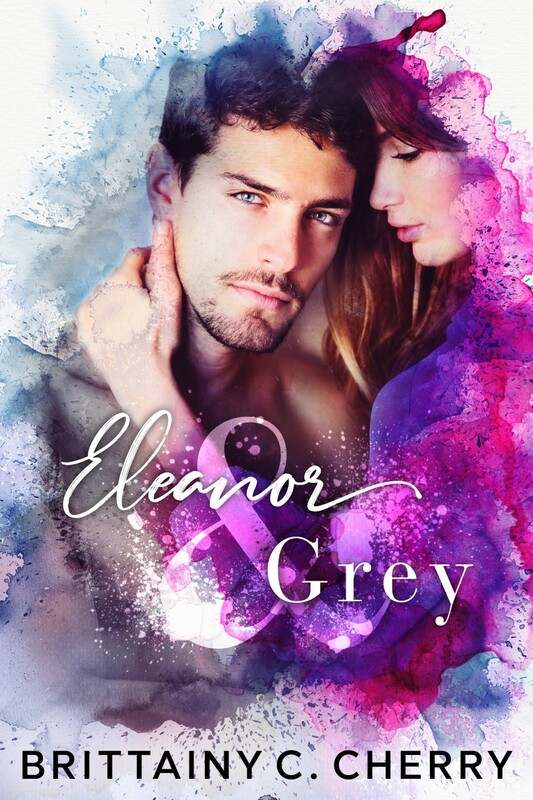 Coming April 8th is a book that I can’t wait to read: ELEANOR & GREY by Brittainy C. Cherry. Just read that synopsis! I’m so excited about this emotional, standalone romance and thrilled to share a sneak peek with you! “Dude, Brace Face is here,” one of the voices whisper-shouted over the bad music. “You don’t gotta call her that,” the other groaned. “Yeah, that’s her. Eleanor,” the other replied. He’d used my actual name. Most people called me Brace Face or Shay’s cousin. I glanced over at the two guys, trying to act nonchalant, before looking back at my book. Of course it was Landon Harrison trying to find his way into my cousin’s heart—or more accurately, her pants. Shay and Landon had been the leads in the school play the previous year. They’d hooked up during tech week while Shay was a bit intoxicated. Then she made the most cliché mistake as an actress—she’d fallen in love with the fictional character the actor was portraying. Rookie mistake. Landon was definitely no Mr. Darcy. On opening night of the show, he cheated on her after they’d only dated a week. Once she broke things off with him, he made it his mission to get her back, presumably because he struggled with the idea of a girl not wanting him and his cheating ways. Too bad Shay was too strong of a woman to put up with his crap. She hardly even looked his way except when vodka was involved. “Shouldn’t you be talking to her to make a connection?” the other guy asked. Greyson East was one of the top-tier students in our class, and, like Shay, he was loved by all. Greyson was handsome—almost annoyingly so—well dressed, and the star basketball player who could have any girl in our school. When I thought of high school popularity, Greyson was the one who always came to mind. I mean, his face was on the homepage of the school’s website, after all. He was a big deal. I would’ve been offended by him calling me a thing, but I simply didn’t care. It was just a Muggle being a Muggle. They didn’t know any better. Sometimes they acted out in idiotic ways. “What a waste of life,” Grey mocked his friend, sounding bored. I almost smiled at his level of sass. “Just do me a solid,” Landon requested. His shoes began walking in my direction, and when they paused in front of me, I glanced up to see him standing there. Of course, he was wearing Nikes because everything about Greyson was a cheap cliché. Now his eyes were staring at me. They were the kind of gray you thought only existed in overwrought romance novels where the hero looked a little too perfect. No one truly had gray eyes. I’d been alive for sixteen years, and I had never come across a boy with a gray stare other than Greyson. Light blue? Sure. Green? Yeah, sometimes, but Greyson’s eyes were so far from anything else I’d ever seen, so I understood the appeal of his stare. With those eyes and that smile, I understood why most girls melted into a puddle of helplessness around him. And now, Greyson East was staring at me. Oh God, make it stop. He gave me a slight wave when we made eye contact, along with a tiny crooked smirk, and it annoyed me. Those smirks might’ve worked on the Stacey Whites of the world but they didn’t work on the Eleanor Gables. I looked back down at my book, trying my best to ignore him. But those shoes stayed in place. Then, out of the corner of my eye, I saw him lowering, and lowering, and lowering his body before he was crouching right in front of me. He waved again with the same forced smile. “Hey, Eleanor, what’s up?” he said, almost as if we’d always talked and he was just checking in to catch up. I muttered under my breath. For the love of all things right in the world, did he not see my headphones and my book? Did he not know it was June 21st, 2003? Why did no one seem to understand the importance of binge-reading a novel the second it hit your fingertips? I hated this world sometimes. Nothing was worse than when an extrovert tried to understand the deep corners of an introvert’s mind.